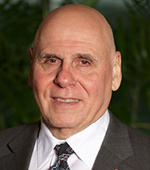 Joe Buonomo has served as the President and Chief Executive Officer of Direct Computer Resources, Inc. (DCR) since 2000. Prior to that, he was the company’s Executive Vice President since its inception in 1996. Joe was one of the four original developers of the company’s first flagship product, DataVantage® for IMS that has been serving Fortune 1000 companies in more than 20 countries since the late 1970s. While Joe has been President and CEO, the company has been transformed from a one dimensional, one product ISV into a multi-dimensional organization with several state-of-the-art software products, including its new flagship product DataVantage Global® that is a single, scalable, multi-tier enterprise-wide solution that obfuscates private and confidential data. The internationally patented software helps companies in all industries meet regulatory standards as well as internal policies. The product has been well-received by companies such as Gartner, Inc. and Forrester Research and is recognized as one of the most viable leading information protection solutions available today. Additionally, in 2009, this product earned a “Certificate of Safety Act Designation” from the U.S. Department of Homeland Security (DHS), which designated the software as Qualified Anti-Terrorism Technology (www.safetyact.gov). DCR has been supporting its current DataVantage® customer base for all products in the U.S., Canada, EU and Hong Kong since 1996. Some of its customers have included: FIAT, San Paolo IMI, Barclays Capital, British Petroleum, Heartland Payment Systems, Zurich Insurance, CSC, Dell, EDS, IBM, Atos Origin, MetLife, AXA Equitable, American Express, HP, Liverpool Victoria, ASDA Stores, Lincoln Financial Group, Northrop Grumman, Verizon, Raytheon, Franklin Templeton, Hanover Insurance Group, Chubb and Son, Avnet, Avon, Northern Trust Company, Lockheed Martin, Boeing, Carestream Health, GM, Continental Airlines, GAP, Supervalu, Tenneco, Intercontinental Hotel Group, BJs, TJX, T-Systems, GAD, Partena Informatique, Inland Revenue Department, the US Coast Guard and United Space Alliance. Under Joe’s leadership, DCR has been profitable for the last 16 years. Prior to being at DCR, Joe was President of Square Business Products, Inc., a New Jersey-based company that provides home and office computer equipment and services nationally; President and CEO of BDR Business Machines and Services, Inc., a New York-based company that provided computer consulting , data processing and data entry services and founder; and Vice President of Sales and Marketing for Operations Research and Computer Corporation, a New York-based company that developed computer program packages and automated machinery for the retail industry.